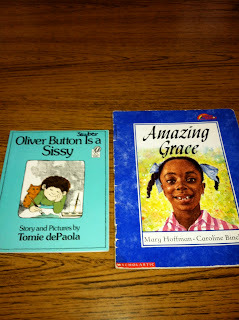 This week we also compared the stories: Oliver Button is A Sissy and Amazing Grace. We made a venn diagram listing what the main characters from each had done in the story and what they had in common. 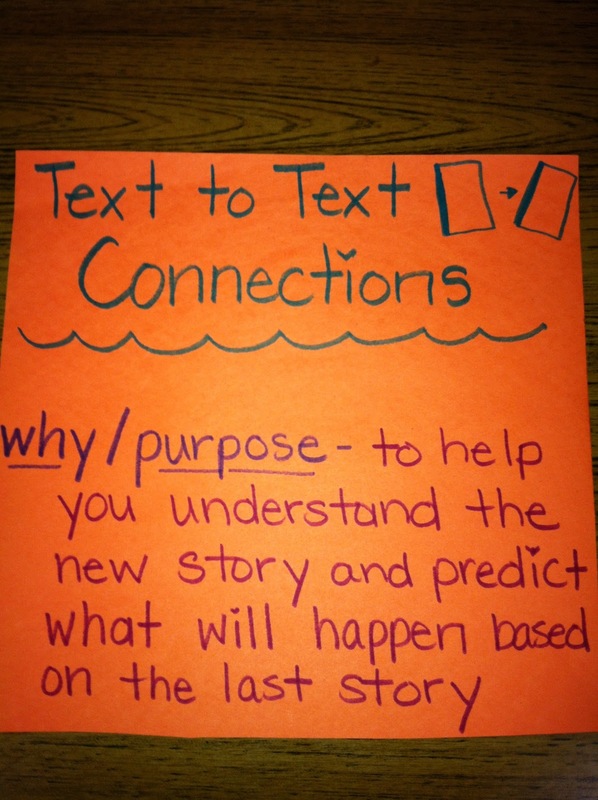 We also talked about how connecting two texts helps us to better understand a new story. 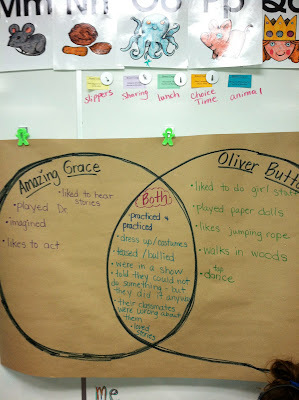 Take a peek at our learning and our anchor charts.